On my previous article, I shared with you 5 Unique Valentine’s Day Gift Ideas for the Guy Who Has Everything. Now, it’s time to figure out what to get your girls this coming February 14th. First on the list is a relaxing spa gift to treat her this Valentine’s Day. This gift set already contains everything she needs to get pampered – shower gel, bath bombs, body scrub, bath salts and more! This is definitely a gift idea that you can’t go wrong with. This next gift idea is a clever one for the girl who loves Netflix and Chill so much. 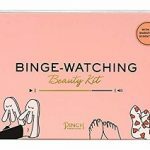 “Binge-Watching Beauty Kit” is a box filled with goodies to make movie and tv show marathon even more enjoyable, with items such as fluffy socks, snack cup, face mask, hand lotion, sofa yoga guide, and decision coin to name a few. Forget flowers, get her this flower-shaped salt lamp crafted from the mines in the Himalayan Mountains in Pakistan, which is world-renowned for being the most beneficial, cleanest salt on the planet. 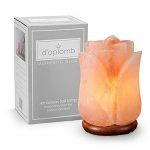 Himalayan Salt Lamps can improve mood and sleep, as well as reduces electromagnetic radiation from computers and electronics. Giving her the gift of wellness is surely something that she will appreciate and love. 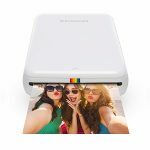 Preserve fun memories with this Polaroid mobile printer that will instantly print her favorite photos of you together with a simple one-touch operation and Bluetooth connectivity. This is definitely the kind of gift that I would love to receive! Lastly, if you want a traditional gift with a modern twist, then this gift box is a must-buy. 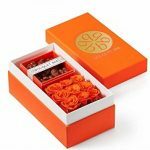 The box contains 9 cheery tangerine-tinged roses and soft-yet-chewy gummy bears coated with a layer of luscious European chocolate. Such a delectable treat! This entry was posted in Dating, Love and Marriage and tagged Gift Ideas, gift list, Valentine's Day. Bookmark the permalink.